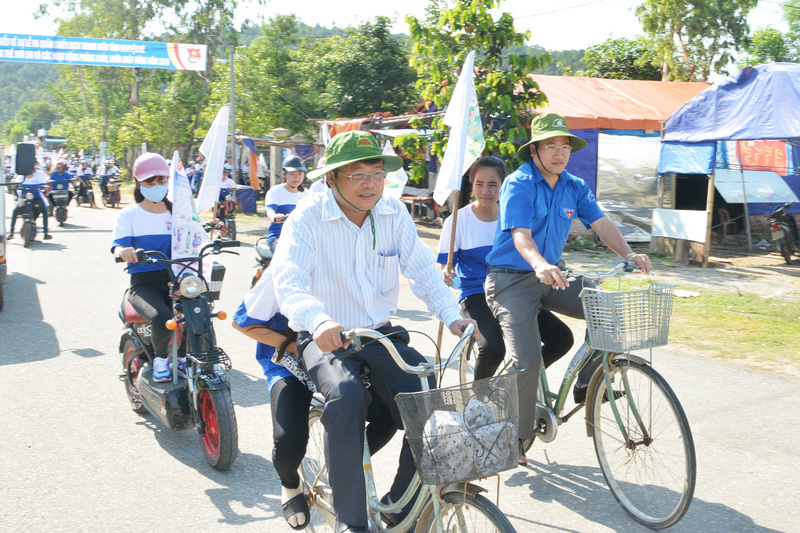 With the aim of communicating and raising awareness about environmental protection, forest protection and response on climate change, on May 28, 2016, Management Unit of UN-REDD+ Phase II Programme of Ha Tinh province coordinated with the Provincial Youth Union and The Forest Protection Branch to hold “Launching ceremony on volunteer campaign in the summer and bike parade to response on the World Environmental Day, June 05, and forest fire prevention activities in 2016”. 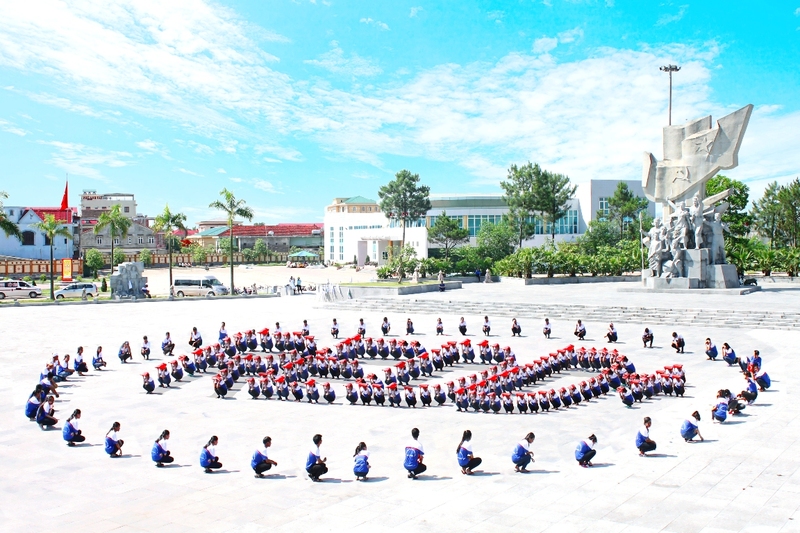 This ceremony took place with the participation of Ms Nguyen Thi Nu Y – a Member of the Provincial Standing Committee, Vice Chairman of People’s Council of the province and Duong Tat Thang – a member of the Provincial Standing Committee, Vice Chairman of People’s Committee of the province together with leaders of the Departments and over 1000 youths. This activity was of great significance in terms of communications for raising awareness for the youths of the environment, along with the activities of forest protection, fire prevention and launching the program in response to the World Environment Day, June 05. It was also an important task and had significant impact on sustainable and stable development of the country. Therefore, it was very necessary for voluntary spirit and specific and prompt activities of the young generation. 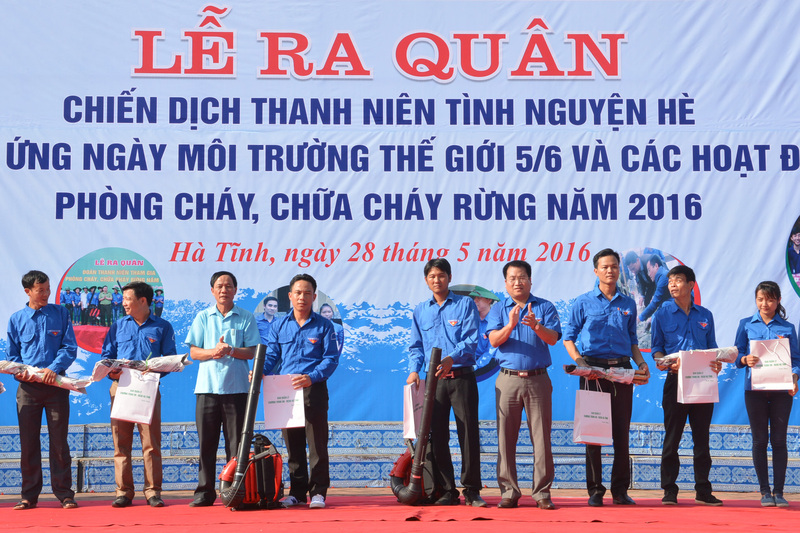 With a speech at the ceremony, Mr. Duong Tat Thang, Vice Chairman of the People’s Committee praised the results that the young people of Ha Tinh had achieved in recent years. And also, he proposed the governmental authorities to create conditions for the youths to participate in completing the activities in response to a volunteer campaign of the youths in the summer of 2016. The authorities continued to strengthen communication and education for the unionists and teenagers in raising awareness of environmental protection, actively responding to the climate change and making rational exploitation, protection of forest resources and forest fire prevention; promoting the role of youths in participating in socioeconomic development together with development of new rural regions and urban civilization and promoting activities for social security. Also at the ceremony, the provincial Youth Union and Forest Protection Branch of Ha Tinh held a signing ceremony for the programme in coordination on forest fire prevention, launching and giving gifts for voluntary youths in forest fire protection. Ms. Nguyen Thi Nu Y, Vice Chairman of People’s Council of the province awarded the flag on efforts in successfully implementing the volunteer campaign of the summer in 2016.